Million Dollar Spaghetti recipe - tastes like a million bucks! Great freezer meal too! 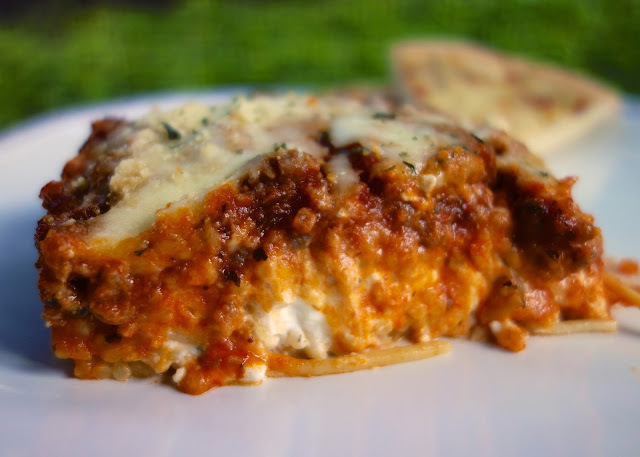 Spaghetti, meat sauce, cottage cheese, cream cheese, sour cream and mozzarella. EVERYONE cleaned their plates and asked for seconds. Even our picky eaters!! This is definitely going into the rotation. I see this recipe on pinterest all the time. One of my facebook friends made it and raved about it, so I finally gave it a try. It was really good and easy to make. It reminded me a lot of my Cream Cheese Spaghetti Casserole. 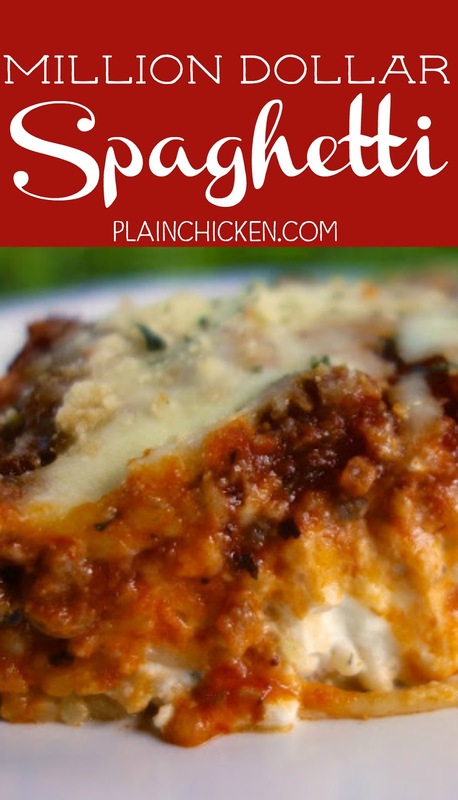 One difference in the two spaghetti casseroles is this recipe had cream cheese and cottage cheese in it. 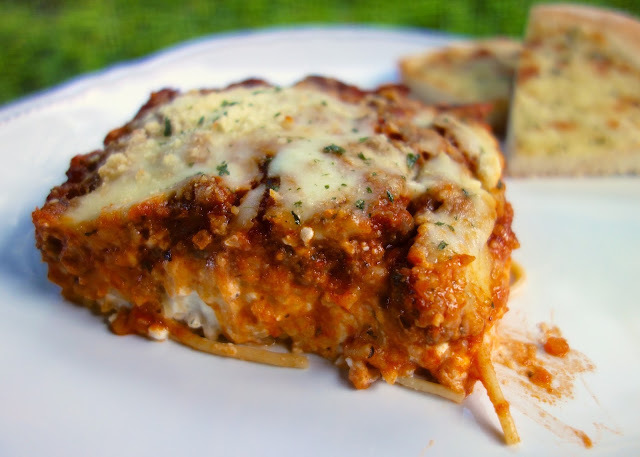 I love cottage cheese baked into pasta dishes, so I knew this would be a hit at our house. This casserole can be assembled ahead of time and stored in the refrigerator until you are ready to bake it. 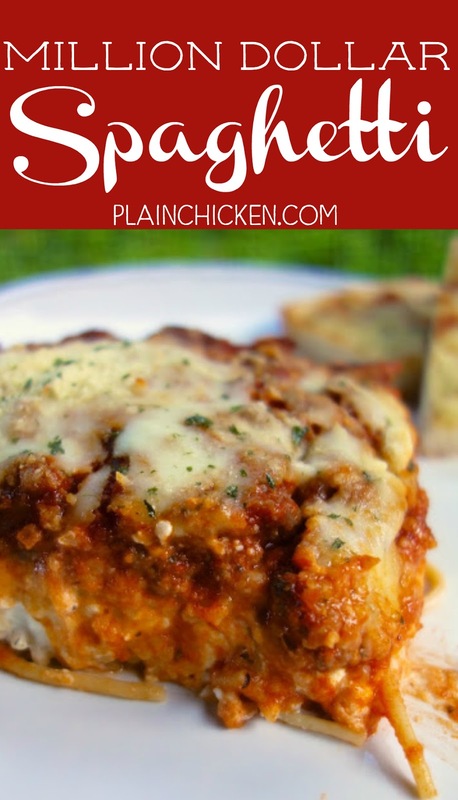 This would also make a great freezer meal! This makes a ton. We reheated it for lunch the next day, and it was equally delicious. n a large bowl, combine cottage cheese, softened cream cheese, sour cream, parsley and garlic powder. In a lightly sprayed 9x13-inch pan, place half of the cooked pasta in the bottom of the dish. Spread cream cheese mixture over noodles. Top with remaining noodles. 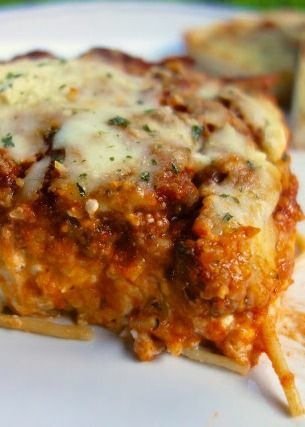 Pour meat sauce over noodles and top with mozzarella cheese. it look delicious in pics. You're a life saver, just what I need to make for my inlaws this weekend (one is having surgery) and one for my 83 year old mom to have. Looks delicious-hope to have a little for us too :0). I'm always looking for pot-luck dinner ideas. Thanks for sharing. First and foremost, I want to say I truly love your blog & the many excellent recipes you post Alot of times when I'm in a pinch for something to make for dinner, I look at your blog & voila problem solved! :-)I'm making the Million-dollar Spaghetti for dinner tonight as a matter of fact! Just to clear up any confusion others may have tho, I wanted to mention you said to add cottage cheese & "softened cottage cheese" in recipe directions & i'm quite sure it should have read "cottage cheese & softened cream cheese" lol Keep u p the great work with your blog & thanks for the fabulous dinner ideas! cheribear1968 - thanks for the heads up! I corrected it! Woah Million dollars!!!! I gotta try me some of this stuff! This was great and although it was a variation of the Baked Spasanga, etc. casserole, it was definitely well worth the try. I added some onions with the pork sausage and it turned out really well. I added the onions only after the pork was done and they cooked well in the oven. You have great recipes and they're so tempting that I have to cook them! Keep up the great work! what can I use instead of the Italian sausage? we just don't care for it! I urge you to try it with the cottage cheese. I don't eat cottage cheese plain, but it is wonderful in casseroles. You can substitute ricotta if you would like. I really don't think this would be anything special without the cottage cheese or ricotta. Is 8 oz. of spaghetti really all you use in this recipe? It doesn't seem like much, especially when you split it in half for the layers. I used 8oz of pasta. You can add more if you prefer it with more pasta. I didn't see Italian Sausage at the store.....should i use regular pork sausage and add some fennel to it? or should i use ground beef? This was perfect for our little kids party. I used hamburger, turned out great. Lot's of compliments. Made it the night before and baked it 45 min before the party. I'll do this again.